Prepare to step out of your Savannah Midtown apartment to enjoy a tasty week of delicious food during this year's Inman Park Restaurant Week! When does Inman Park Restaurant Week begin? 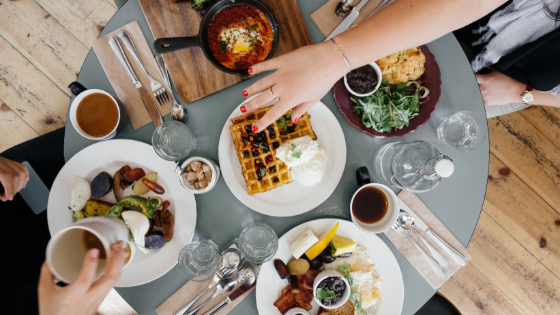 Inman Park is already a culinary destination, and come March 25th–31st 2019, you can experience why so many people visit there just for the food. You can go online now and reserve a table at any of the 14 participating restaurants. This year marks the ninth consecutive year of Inman Park Restaurant Week. Located conveniently off BeltLine Eastside Trail, you can enjoy a nice spring evening by walking or riding your bike. What foods can you expect to try? You can also get to know your chef in advance by reading their bios online. These chefs have enormous talent and are just as excited about sharing their culinary skills as you are about tasting what they can create! An interesting way to pick your first restaurant may be by picking the chef with a style that most intrigues you. Participating restaurants have menus starting at $20 and increase in $10 increments to $40 menus. These menus are complete with appetizers, entrees, desserts, drinks, and sides. What you spend is completely dependent on what you choose and how many restaurants you visit during the week. How much fun can you expect to have? You can expect to have a lot of fun — but it isn't totally dependent on the chef or the food but on the company. Invite your neighbors, coworkers, or a significant other. Whatever you do, eat well surrounded with great laughs and conversations. if you're looking for an apartment in Atlanta, Georgia, give us a call to schedule your tour today!